Many small business owners tend to seek a bridge loan from a traditional lender, like their bank, the SBA, or another institution. However, the application and approval process is lengthy and can seem interminable when your business is in need of immediate financial support. At National Funding we understand the plight of small business owners looking for financing from traditional lenders, because we began as a small business ourselves nearly 20 years ago. For businesses in need of immediate capital, or financing to hold them over until their traditional lender provides sufficient financing, National Funding offers bridge loans up to $500,000. A bridge loan is exactly what it seems; a short-term loan to bridge the gaps between long-term financing solutions or your next infusion of capital. Business owners seeking financing from traditional lenders, like banks or the SBA, often run into lengthy delays but still need working capital to keep their businesses operating smoothly until their traditional lender completes their approval process and makes funds available. 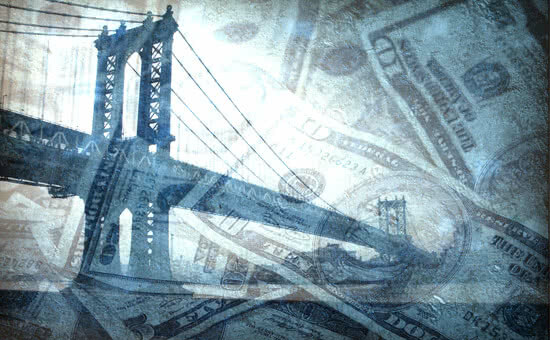 A bridge loan is a commercial loan that bridges the gap between lulls in capital for many businesses across the country. Protect your cash flow and alleviate the financial strain incurred from the delays of traditional lenders. Bridge the gap in your financing and end the waiting game with help from a National Funding bridge loan. As a direct business lender, the ability to lend our own capital allows us to expedite the bridge loan approval process and get you the funds your business needs without the traditional roadblocks and delays you encounter from other lending institutions. For more information or to apply for a bridge loan from National Funding, please give us a call or complete the form and a loan specialist will be in contact with you shortly. Protect your cash flow and alleviate the financial strain incurred from the delays of traditional lenders. Bridge the gap in your financing and end the waiting game with help from a National Funding bridge loan. As a direct business lender, the ability to lend our own capital allows us to expedite the bridge loan approval process and get you the funds your business needs without the traditional roadblocks and delays you encounter from other lending institutions. For more information or to apply for a bridge loan from National Funding, please give us a call or complete the form above and a National Funding loan specialist will be in contact with you shortly.